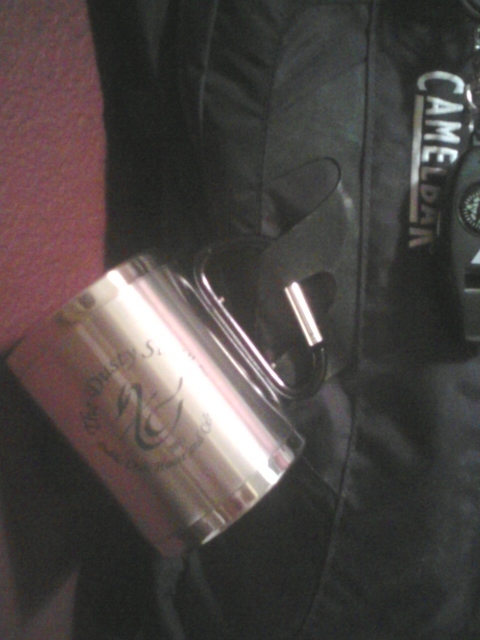 I received my stainless steel Dusty Swan carabiner mug yesterday in the mail! One of my intentions in returning to Black Rock City in 2011 is to actually visit an Irish Bar on the playa, and I’m proud to have been able to support The Dusty Swan in a small way by purchasing this awesome mug. I look forward to having it filled with a beverage of some sort and listening to a sesiun or two! Slainte!